Emojis and emoticons are pictorial representations of faces used in text-based communication to express emotional response. Also known as ‘smileys’, the words ’emoji’ and ’emoticon’ are often used interchangeably. The technical difference is that an emoji is an image, while an emoticon is comprised of punctuation. 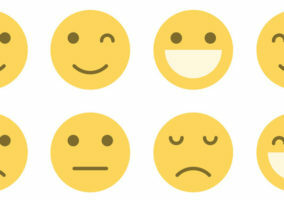 Should emojis be used in customer service? The use of emojis is very much the norm in personal social media, SMS, email, and webchat. Nonetheless, many businesses have struggled to understand whether they are appropriate in the professional domain – the chief concern being that their customer service will seem unprofessional. The evidence speaks for itself, however, and numerous customer satisfaction surveys have shown that consumers do respond positively. Naturally, a degree of discretion is called for, and emojis are more widely and successfully used in positive encounters than in complaints. In lieu of body language and facial expression, contact centre agents have always been trained to express empathy with their tone of voice. In non-verbal channels, emojis seem to be a sensible substitute to communicate the emotional component of an interaction. Context and an accurate reading of the customer are crucial. Emojis may sometimes be interpreted as unprofessional, but the same could be said for making jokes with customers, and using humour has the potential to make average interactions great. Customers are not equally receptive to emojis across all text-based channels. Emojis have been shown to have a more positive impact in live communications such as webchat and social media than in messaging services like email or SMS. This seems to indicate that more formality is expected from certain channels. The successful use of emojis is usually linked to the age of the customer. 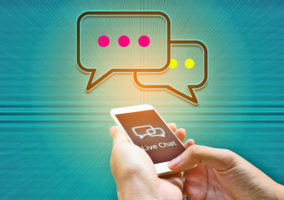 A reasonable rule of thumb is that anyone comfortable using webchat or social media is also comfortable with emojis, but knowing your average customer profile can only help. While emojis can add a personal flourish, some have connotations that may not be suitable for the workplace. If agents are going to use emojis, make sure they know what they mean, and consider providing an agreed emoji resource to source images from. It is also advisable to reserve emojis mainly for positive interactions, when customers are more receptive – a frowning face directed at an unhappy customer can easily be misinterpreted. Finally, emojis should only express quite basic responses. There is a wide range of emojis and emoticons available, some intended to communicate highly specific circumstances. 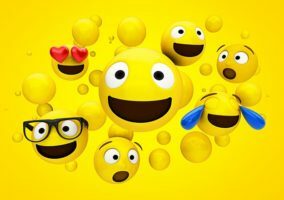 Emojis in Customer Service - Cheeky or Charming?